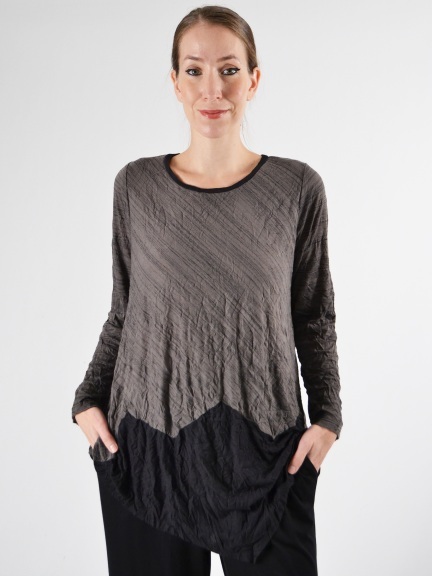 This ultra soft tunic in an easy-to-wear crinkle style features diagonal striations in the knit and unique, three-pointed contrast inset at the front and back hem. Hand wash cold inside out. While wet hold ends, twist tightly & knot, leave until dry. Do not iron, do not steam.